Our Beautiful Blessings! : First Ride! 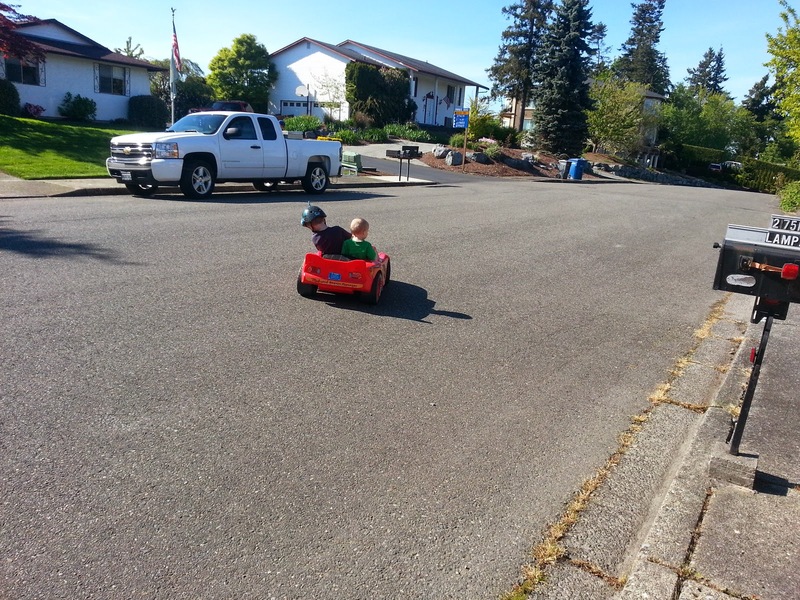 Last week during one of our sunny days the kids got out and rode around on all their motorized toys. 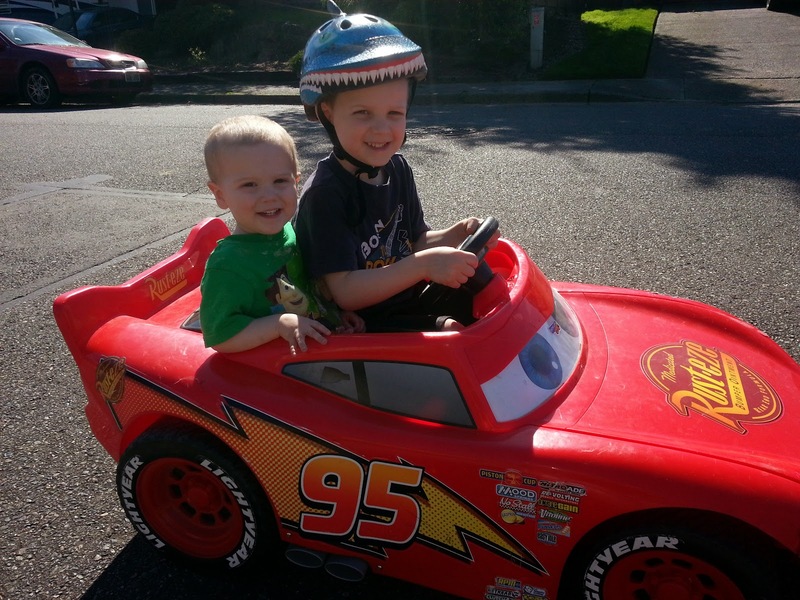 I asked Jack if he would give Zeke a ride in Lightning McQueen. Oh boy was Zeke happy! They were squished in there, but he didn't mind at all. 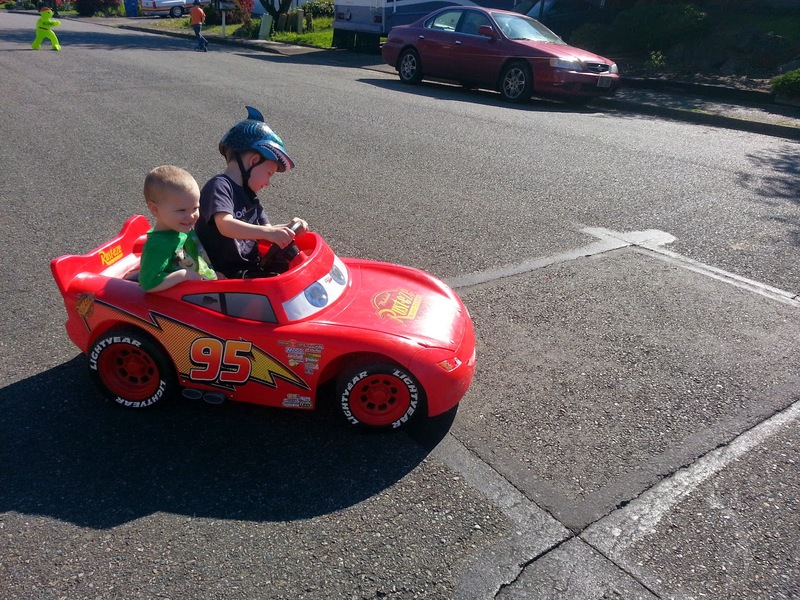 The funny part was that Zeke was sitting on the shifter so when Jack needed to reverse he would have to hop out and pull McQueen in the direction he wanted him to go. They rode around for quite awhile and Zeke was a happy little guy! Off they go! 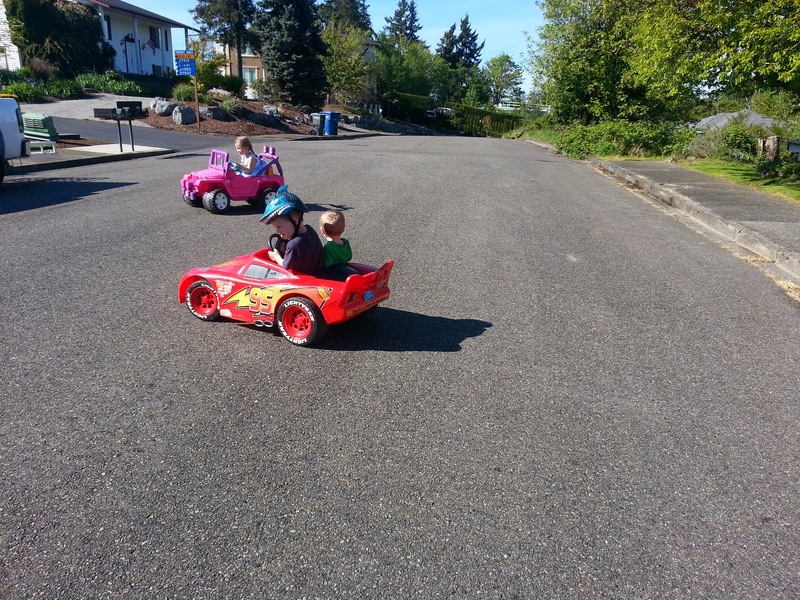 I have a feeling that Jack will be driving Zeke around a lot this summer!